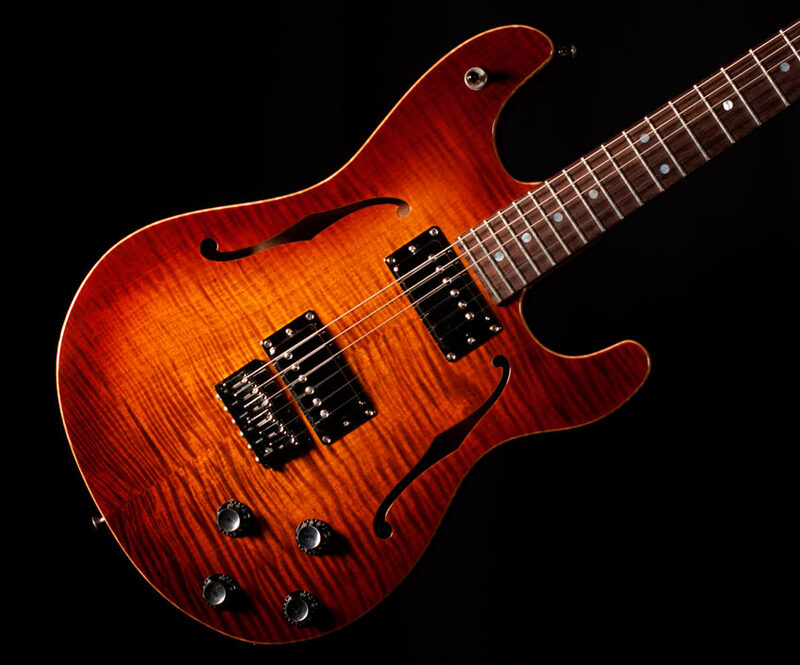 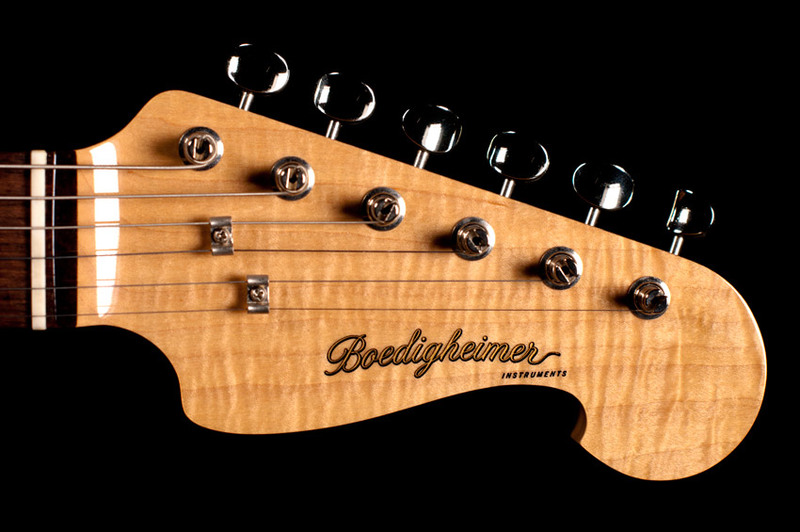 This Boedigheimer BB-1 was built using a flame maple cap, mahogany body, curly maple neck and Indian rosewood fingerboard. 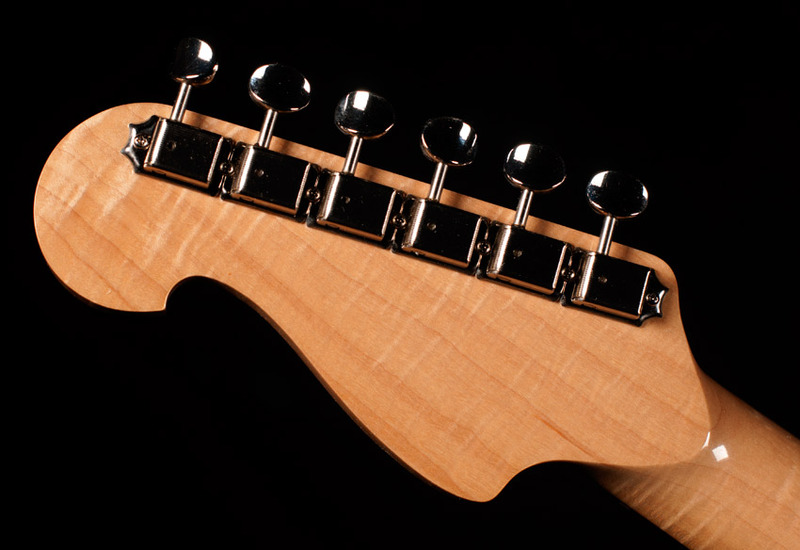 The pickups are scatterwound Lollar Imperial humbuckers with series/parallel switching and phase reversal controls via push/pull CTS potentiometers. 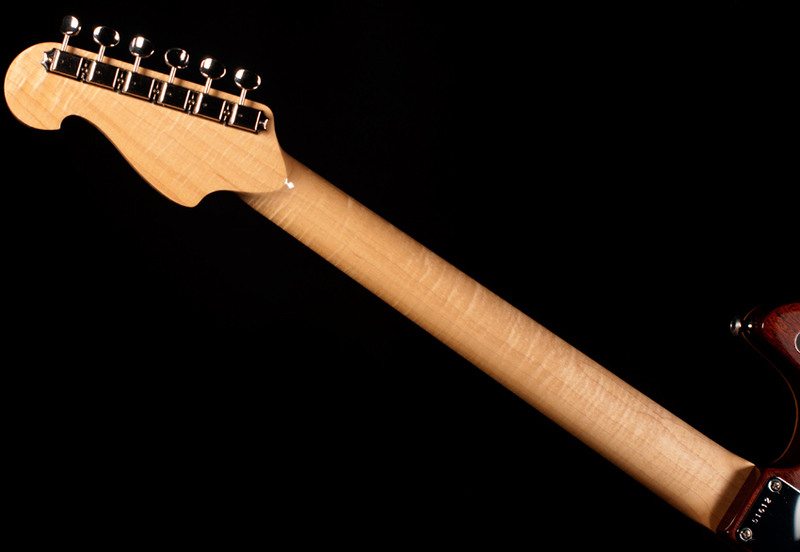 The fingerboard is a 12" radius with pearl dot inlays and Dunlop 6105 frets. 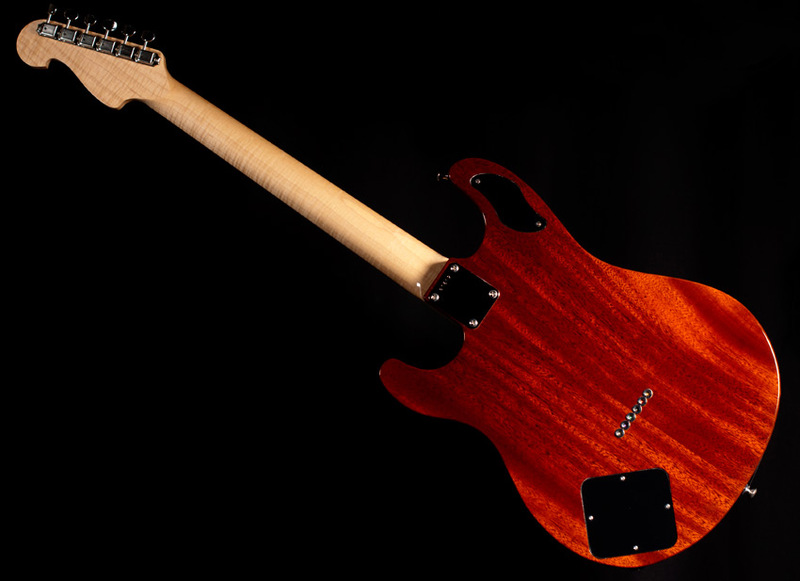 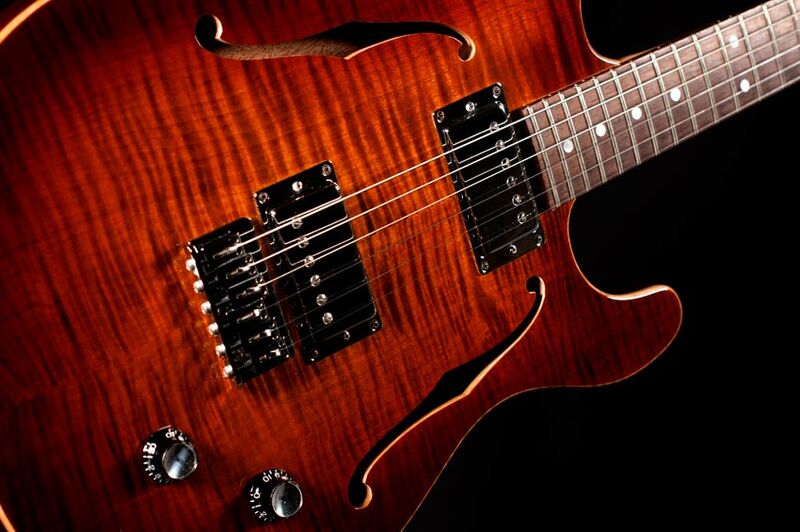 The finish was a combination hand-applied and sprayed tobacco style sunburst with toned lacquer over the mahogany. 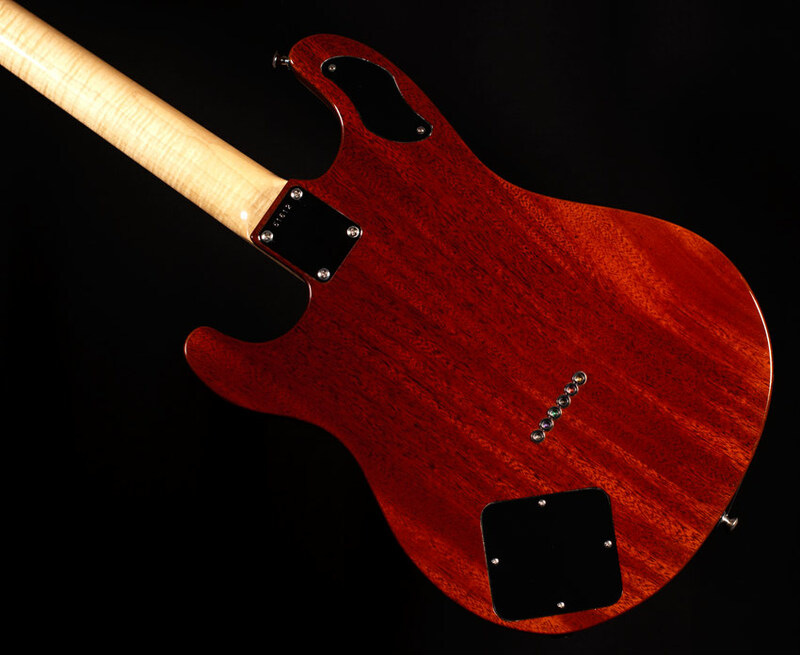 Faux binding accents both the edge of the body and the f-holes.